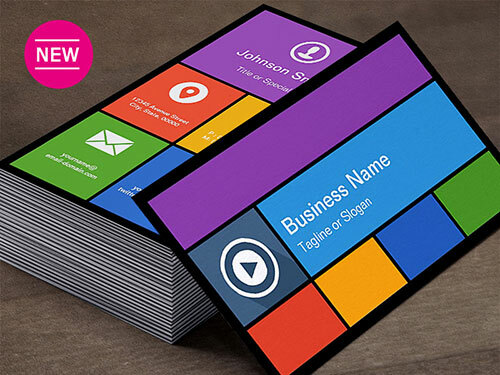 If you are planning to take your fledgling business to the next level then Business cards are of paramount importance to have the right kind of publicity and impression.Download the top best Business Card Maker Softwares free download for Windows 7, 8.1. These days, with stellar Business Card Maker software at your disposal, you do not even require any professional help. So, let us take a look at the best options available which help you design free yet top class cards right from your home or office. Software download for the ones we have described below are free. A handy tool useful for making not just business cards but also for printing labels and CD labels. It has an easy to use GUI which you can use to make professional business cards using your own custom images or you can select from a wide range of available templates. It has dedicated toolbars to allow you to modify the dynamic text on your card. You can even design a customized QR code which you can then use on your card to set your card apart from that of your competitors. The second option is CardWorks by NCH software. It is also an intuitive software featuring a number of business card templates to choose from. Just like DECAdry they can help you translate your own ideas into a fresh card or download additional template designs. All standard card and paper sizes are supported along with an impressive gallery of photos and logos along with the option to save client data. Another appealing choice is this one which also provides us with the option of complete customization of your own ideas or available templates. Owing to its simple UI, you can design great cards in minutes. It is easier to use than the previous options but with without any compromise on the quality of the product. They also boast of a large gallery of 50,000 + images to help you chose your logo. Support for all sizes and styles of papers are available. This Mojosoft software is also supremely easy to use with an interface that takes very little getting used to. Like the other products we have described, this one also offers support for original and readymade templates as well as a wide variety in sizes, shapes and styles for your personalised cards, as well as a vast library of images. In addition, you can also save data about a company/person which can later be reused to design new or modify old cards for specific situations. Free Business Card Maker offers another option, an online option, to make impressive business cards with a wide array of templates to choose from, a very easy-to-use interface to get you started quickly, a well-stocked and frequently updated gallery to assist you in designing your logo. After you are done, you can download the card in any of their many supported formats which you can then print at your home or office.These are the Top contenders for Business Card Maker software available online. So what are you waiting for? Choose and get to work!